Emigrate to Australia and work in jobs including mail delivery, IT, marketing, customer care, finance and more. Parcels – Together, through the parcels business and a partnership with StarTrack A.P offer an unrivalled suite of eCommerce-driven payment, logistics, supply chain and parcel delivery solutions. Around 75% of the parcels delivered today are generated by an online order. And the parcels business is focussed on creating solutions and building innovative partnerships to make it easier for businesses to sell online and deliver, and for customers to receive and collect their goods. Mail Delivery – the letters business has a hugely important and evolving part to play in providing consumers and businesses with a safe, easy and efficient service. With the increasing shift to online services and digital communications, the letters network is key to driving the modernisation of the business and ensuring A.P. continue to meet the contemporary needs of customers. Retail – retail teams are the face of the business for over one million customers who walk through the doors of over 4,400 Post Offices every day. 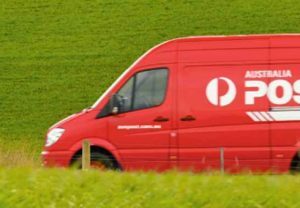 With over half of Post Offices located in rural and regional areas, Australia Post provide customers everywhere with essential products – and exceptional service – to help them shop, pay bills and connect. Sales & Marketing – extensive Sales and Marketing teams play a key role in managing Australia Post and StarTrack brands and the trust, reach, convenience and expertise that they represent. The function is essential to driving business and identifying new opportunities to service customers as A.P. works to connect all Australian’s, help small businesses reach new markets and make it easier to buy, sell and deliver online. Digital – digital teams are a key pillar of our growth strategy as we continue to embrace technology and innovation. We’re continually working to extend and refine our digital products, services and capabilities. And this means we’re finding new and more sophisticated ways to help our customers connect, interact and easily manage their deliveries, payments and government transactions. Information Technology – Our Information Technology team is at the centre of our transformation strategy as they build leading-edge digital, security and technology platforms and services. In the process of designing, implementing and evolving our digital assets, platforms, capability and culture they’re helping to change the shape of our business. Finance – Our centralised group finance function works closely with all areas of the business to meet strategic objectives, protect our assets, optimise performance and drive financial accountability. The team is focused on delivering strategic finance solutions that support our aspiration to become the world’s leading eCommerce business. Shared Services – Our Shared Services team is at the centre of our corporate operations, responsible for business support, accounting, legal and property services. They provide quality and cost-effective transaction processing and administration to our internal business units and employees. Human Resources – Our Human Resources function plays a pivotal role in driving our people strategy and shaping the employee experience for the more than 35,000 people we employ across the country. Our HR teams partner with business units directly to promote safe, healthy and respectful working environments and also work on broader enterprise-wide initiatives around areas including culture, diversity and inclusion, and leadership and talent. Customer Contact Centre – Our Customer Contact Centre works to support our customers through over 6 million interactions every year. Based in central Melbourne and Brisbane, the teams provide phone, online and social media support, as well as sales and service interactions to our customers nationwide.